HYDERABAD Once upon a time ! : The Residency Chaderghat, Hyderabad. 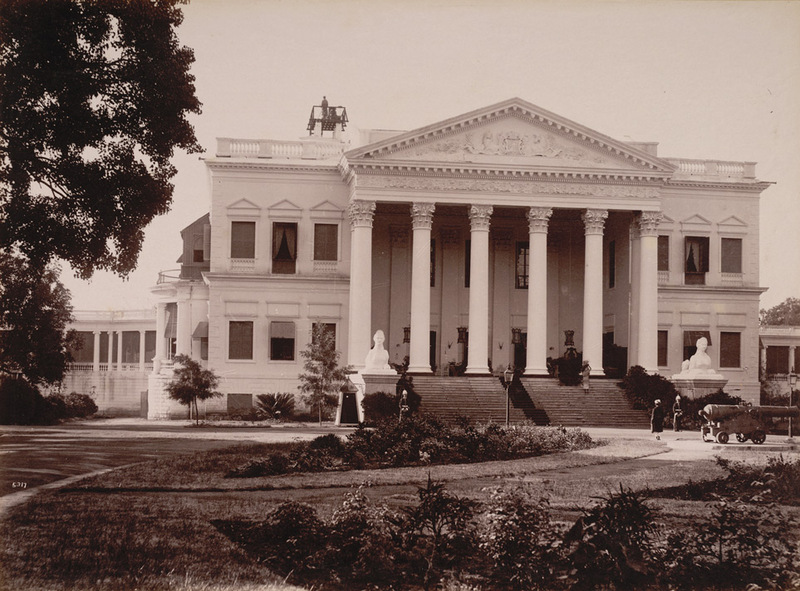 Photograph of the British Residency in Hyderabad, taken by Deen Dayal in the 1880s, from the Curzon Collection: 'Views of HH the Nizam's Dominions, Hyderabad, Deccan, 1892'. The building was instigated by Colonel James Achilles Kirkpatirck (1764-1805), the British Resident who ousted the French and established British supremacy in Hyderabad in 1798. He negotiated several treaties on behalf of the Governor-General with the Nizam of Hyderabad before he died while on a visit to Calcutta in 1805. The Residency was designed by Samuel Russell, son of the artist John Russell (1744-1806) and was built between 1803 and 1806. The construction was paid for by the Nizam of Hyderabad. This is a view of the front of the building with its Corinthian portico crowned by a pediment showing the arms of the East India Company. Colossal lion sculptures flank the steps up to the entrance.